Sportsbook.com was introduced in 1997 as a licensee of the World Gaming Network. Today, this company is considered by many industry experts as the biggest online sportsbook in the world. The rise of Sportsbook.com is a clear example of the power of a simple, yet bold concept: the successful transition of the sportsbook industry into the online realm. The sound success of this company during its early years was mostly a product of owning such a specific and targeted domain name. There were already established online gaming companies prior to the launch of Sportsbook.com, but none of them have displayed the growth rate that this company has achieved in the last 8 years. 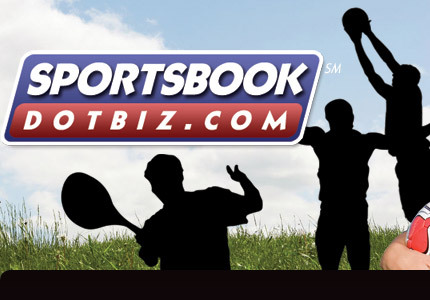 By 1999, Sportsbook.com had already acquired one of the largest data bases of recreational players in the industry, thanks largely to their prominent placement in organic search engines. In July of 2001, Sportsbook.com was purchased by Sportingbet and it's now part of one of the largest publicly-traded companies in the London Stock Exchange, under the symbol LSE: SBT. Their business is audited by BDO Stoy Hayward, one of the largest auditing firms in London, and their accounts are published quarterly on the London Exchange. Sportsbook.com has reported a total turn-over volume in excess of US$3 Billion for year 2005 and they now count with over 900,000 active customers. Sportsbook.com also runs some of the most outrageous marketing campaigns, having celebrities of the caliber of Brook Burke as their online hostess. They offer some of the most attractive bonuses and promotions packages for the recreational player. However, mostly to the size of their operation, some clients have reported some difficulties when dealing with their financial department, managed by World Gaming's EFS; this company usually runs audits on winning accounts, but the process never seems to be quick. Quite possibly, the world's largest customer base. This creates a unique market and very original lines. Given the very nature of their business model and the strict laws of the U.K. jurisdiction they abide by, this company is one of the safest operations in the online gambling industry. They cater to recreational players and players with higher stakes as well, but strongly discourage professional action. A website that is very user-friendly and a software that provides players with clean and crisp betting screens. Sportsbook.com is an excellent choice for the small player looking for a great bonus package, an extensive assortment of betting odds on all kinds of sporting, political and show business events. This company offers the guarantee of being a regulated entity in the strictest jurisdiction in the world. Minimum Bet: Minimum wager is $5 and minimum deposit is $20. On 10, 11 and 12 team parlays, the minimum bet is $1. Here's the part that we all love - bonuses! Sportsbook.com offers unique and generous bonuses to make your betting experience more enjoyable. Customers of Internet Opportunity Entertainment Ltd. are eligible to receive free bonuses from time to time, including a free bonus when signing up and for referrals. Said free bonuses, as to its amount and issuance, shall be subject to the discretion of Internet Opportunity Entertainment Ltd., and shall be non-transferable and non-refundable. Bonus is only valid if customers have fulfilled the following: Sportsbook or Casino betting activity totaling at least twice the amount of the deposit plus the bonus. (For example, if one deposits $500, they must simply make wagers totaling $1100 before they can withdraw the $50 bonus). If a customer requests a payment of any amount before they have had fulfilled the wagering requirement the bonus will not be valid and will be deducted. EFS will automatically add 10% to your first deposit with Aces.com. Within EFS you will see a line "Funds Available for Withdrawal", once you have wagered the required minimum, the bonus amount will then be available for withdrawal. Re-load Bonuses: Make a re-deposit every Thursday and sportsbook.com will add an additional 5% bonus to every re-deposit you make. Referral Bonuses: Earn 21% Referral Bonuses. If you refer 1 friend, you get 21% of their first deposit as a bonus. If you refer more, you not only earn 21%, you earn $21 for every friend you refer. 5% Deposit Bonus with Neteller everyday: Now, whenever you make a deposit with Neteller at Sportsbook.com, they will give you an extra 5% free cash. Every week Sportsbook.com will pick an NBA or NHL player, the better they do, the more they will add on to your winnings. If you bet on the game they are in and you win your bet, they will pay you extra winnings depending on how well the players do! Your team get slaughtered? The opposing pitcher turned in a commanding No-Hitter? Or did a player on the opposing team hit for the cycle? If they did, then Sportsbook.com will refund your losses. $167,000 given away during the regular season in refunds: If your NFL team is shutout, Sportsbook.com will refund ALL Money Line Bets. It's that simple, a shutout means a FULL refund! Note: Money line wagers on the game itself only; half time wagers, props and parlays are not included in the promotion. Wagers must be placed the week of the game. This promotion valid only for regular season games. Be on the lookout for our BRAND NEW Weekly $50,000 NFL Contest! All you have to do is pick a few players a week and when they score, so do you! Enter Weekly and you can win some huge cash prizes from Sportsbook.com. So far Sportsbook.com has given away a Porsche Boxster, a Mercedes SLK 320, trips to Aruba and the Winter Olympics! This year you can win yourself a Harley Davidson Fatboy or a trip to Costa Rica! On top of that, they give away huge monthly prizes to all their top referrers of the month. So not only do you get free cash, you can win big prizes too! You can win up to $25,000 a week in Sportsbook.com's brand new 3 For Free Contest! All you have to do is answer 3 simple questions every day and you can win up to $25,000 a week! Enter Daily, Win Daily! All throughout the NASCAR season you can win big prizes with the hottest NASCAR game on the web. Pick the winners of each race and you can win big cash prizes in our FREE NASCAR contest. On top of that, Sportsbook.com gives their top point getter of the season a worthy prize. Last year they gave away a trip to the Skip Barber Racing School. This year they are giving away a trip to Daytona! Everyone loves this game and it's FREE to play. Pick Two questions, answer them correctly, and we will double ALL your winnings from that day! It's easy to win HUGE cash! Sportsbook.com gives you the NFL and selected NCAA lineup. You Pick 13 teams and wager $25, if you get them all right you walk away with $100,000 in Cold Cash in your hands Immediately. That's 4,000 times return on your money for a little weekend handicapping. There is no limit on the number or entries or the number of winners. 5% Juice and Increased Parlay Payouts. Every Friday Sportsbook.com runs all the Football and Basketball odds at Half Price (-105), including the entire weekend lineup and they pay out at much higher parlay odds. Every Saturday Sportsbook.com will pick one afternoon nationally televised game and offer the game at even odds, lay $100 to win $100. No Juice.